The great Fr Z has posted a kind article referring to me being “back in the saddle again” with an appropriately amusing video which I have put at the foot of this post. I am also very grateful for personal messages that I have received over the past couple of years encouraging me to get going with the blog again, and recent ones thanking me for doing so. Things change rapidly in the online world and we have to respond; yet nothing is lost, as Ovid said: omnia mutantur, nihil interit. (Metamorphoses 15.165) One massive development over the past few years is that a lot more people have smart mobile devices and access the internet more from them than from anything with a screen and keyboard: over 40% of my pageviews are from mobile devices. That makes it essential for blogs to be “responsive”, that is, to rearrange the page elements according to the device that they are viewed on. Fortunately, Blogger is helpful in this regard, having issued some new standard themes that are fully responsive. As of yesterday evening, I am using the Contempo theme which I have modified a bit. I may experiment with one or two of their other themes. I have accepted the default of black text on white background, with larger type, using one of the newer google fonts (Droid Serif at the moment). This I regard more as a fashion – most major news websites currently have variants on this kind of appearance: I don’t regard it as objectively the best thing, but it seems a good idea for the time being. The basic strategy of the blog is the same as ever, to offer an assortment of posts with a variety of moods, always hoping to build up your faith and love for Jesus Christ. 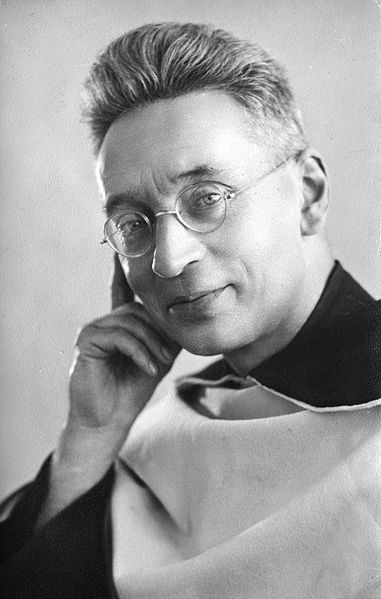 Please say a prayer for me, and remember to pray to the Blessed Titus Brandsma whom I have suggested as the patron saint of bloggers.